Few weeks back, when I bought this big bunch of parsley, I didn't have a clue where to use it or how to use it, yet I got it, thanks to food blogging. But now, I think I can do at least a couple of dishes with it like the potato parsley parathas, parsley pilaf and now this dal. 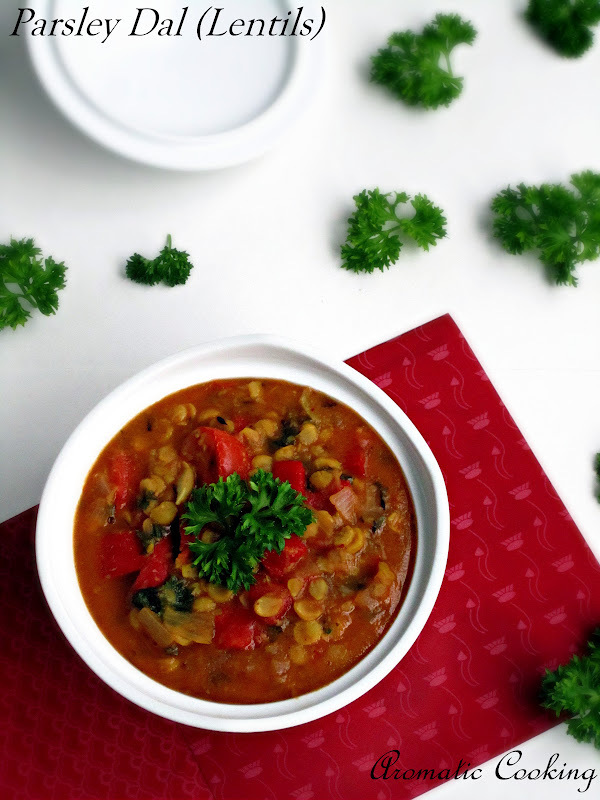 I used chana dal or bengal gram dal in this, which is very diabetic friendly because of its low glycemic index and also parsley is a good source of fiber. It tasted great, a nice combination with both rice or rotis..
Pressure cook the chana dal with the turmeric powder. Heat oil, add the cloves and cumin seeds, once the spluttering stops add the onion and garlic till the raw smell goes. Then add the tomatoes, saute for a couple of mins, add the capsicum and 1/2 cup parsley, saute for some more time. Add the chilli, coriander and the cumin powder, mix for some more time, add the cooked dal and some water. Simmer for 5 more mins and add the garam masala and the remaining parsley, mix and switch off. The dal was very flavorful, and went perfectly well with the rotis. to Srav's Cooking Concepts for the Vegan Diet - Only Plant Based event. You can soak the chana dal for a couple of hours and cook it in a pot instead of pressure cooking. Can leave out the garlic and add ginger or use both. What a hearty and delicious dal. Perfect with a bowl of steamed rice. 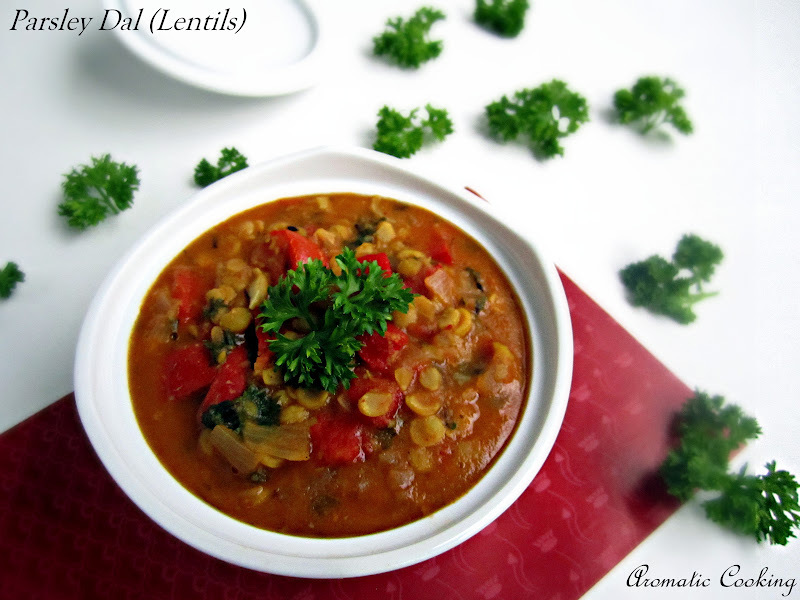 Never tried dal with parsley...very comforting dish!! Delicious I love the addition of parsely in there. 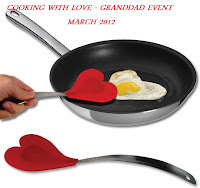 Thanks for sharing the Healthy delicious dish to Hearth and Soul blog hop. Never tried vth parsley...very tasty dish n perfect with hot rice!! never tried lentil with parsely..different one..taste is also different..
very interesting n yummy delicious dal,lovely!! wow..superb.I have to appreciate your photography :) really you are a good photographer. Parsley and dal sounds an interesting combo. Lovely click and thx for linking to the event. A very nice tempting recipe.Healthy as well as tasty ! This looks very yummy!! I loved the recipe. 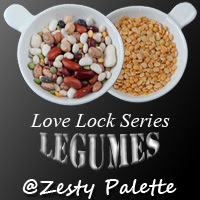 I don´t love lentil but this beautiful presentation make me want some of it. yummy dal hema n neat clicks! Delicious n healthy dal recipe, love the presentation. This looks so hearty and delicious, and nutritious too! The spices sound just wonderful. This looks wonderful! I love all of those spices, I can imagine how tasty this would be! I'm hosting a weekly blog carnival specifically for soups, stocks and chowders, every Sunday! I would love you to come and post this recipe. Just stop by my blog on Sunday - the link will be up! so unique and wonderful combo !! super comfort food !! Thanks for linking to the event ! !